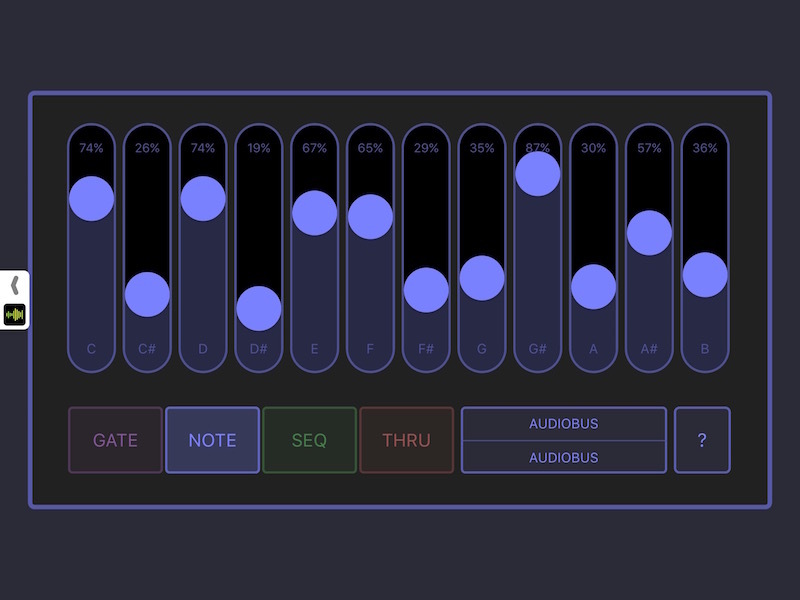 Takes a stream of busy, repetitive MIDI notes and selectively mutes some of them to make it more interesting! 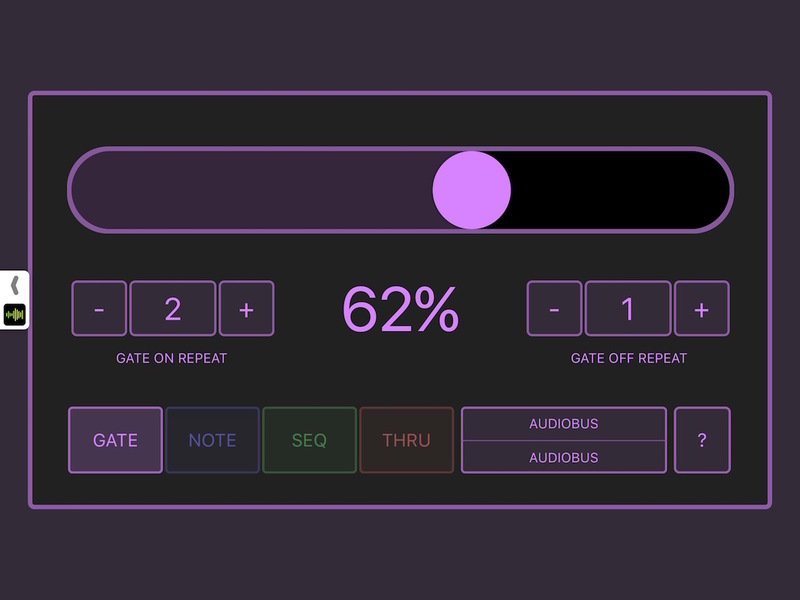 midiFILTr-PG is an Audiobus 3 MIDI filter gate effect that is quick to configure, easy to use, simple but powerful. 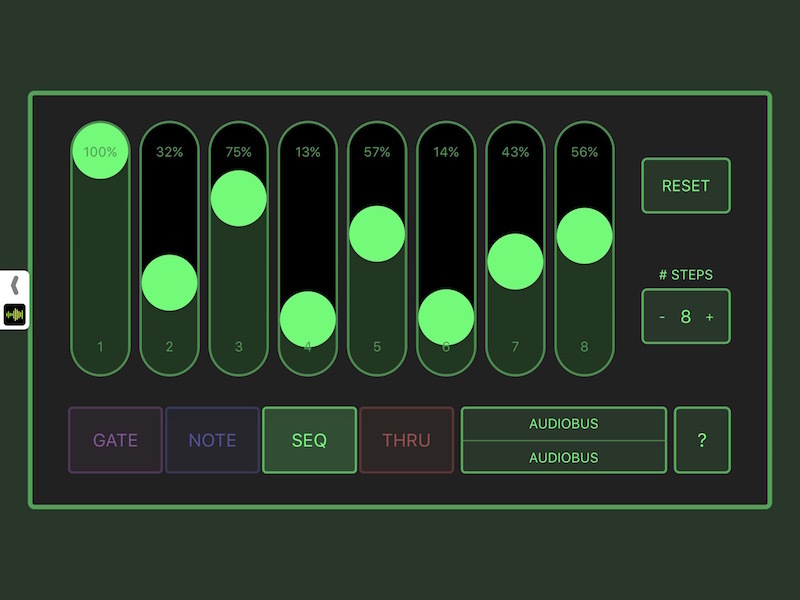 Filter other iPad music apps via Audiobus 3 or CoreMIDI, or external MIDI sequencers with a USB-MIDI interface.